sPower is the largest owner of utility-scale operating solar assets in the United States, a leader for renewable energy development. They do incredible work, and when they reached out to Simplus, they decided it was time their Sales Cloud caught up with them, too. 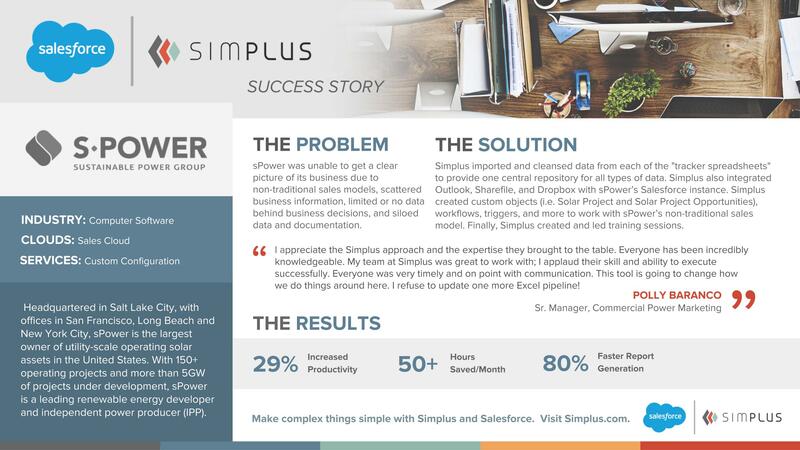 Before a custom configuration with Simplus, sPower’s Salesforce instance wasn’t giving sPower team members a clear understanding of the business due to scattered information, siloed data, and non-traditional sales models. 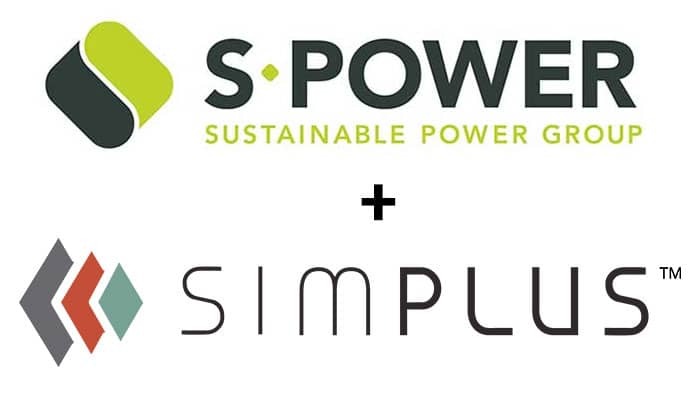 But with Simplus working with them, sPower’s Sales Cloud was cleansed and configured correctly for sPower’s needs. We created one central repository for all types of data and integrated the Salesforce instance with Dropbox, Sharefile, and other applications particular to sPower’s processes. Thanks to “the expertise” we brought to the project, the new Sales Cloud instance for sPower “is going to change how [they] do things.” With 29% increased productivity and 80% faster report generation, how could it not?